The correct form can make your job a lot easier. 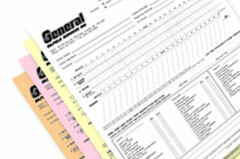 We can put our years of experience to work for you in customizing that form to fit your specific needs. 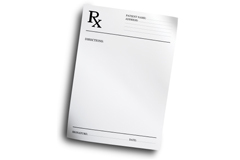 NCR (No carbon required) is the standard today for most hand filled out forms. Complete an invoice, quote or estimate and hand the client one copy while you keep a copy. Receipts usually require a second copy. Keep track of your sales, or peoples donations. Often the government requires you to keep a copy of the receipts you issue. NCR is the perfect product. 2 parts, 3 parts, 4 parts or more available in a variety of sizes. The above are just a few examples of what we can do. Get started today. Request a quote or upload a file. Some forms don’t require a carbon copy, like a price list or fax cover sheet, medical history, dental record charts, transfer sheets, cash out sheets, even time sheets. We specialize in developing custom forms that meet your business’ needs.